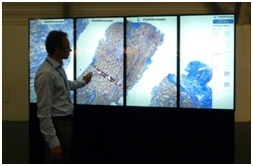 The WebMicroscope portal software is a complete software package for virtual microscopy. When you install the server software on a local server in your own network, the whole campus area will enjoy superb viewing speeds, and you are automatically also connected to the WebMicroscope virtual microscopy network. 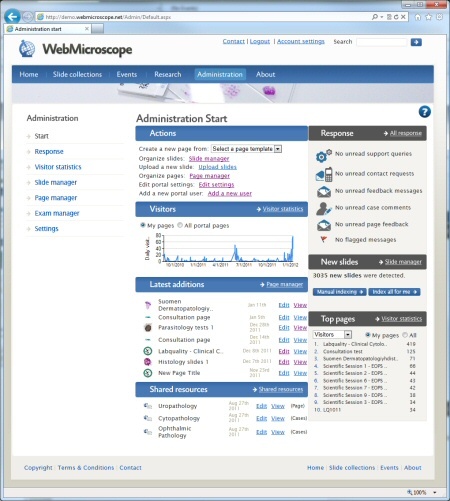 When the WebMicroscope portal software is installed you will immediately have a flexible and esy-to-configure web portal up and running. The portal has ready to use sections and functions for the end users (students, clinicians), and an intutive section for administration of the portal. Slide manager: With this tool you can easily organize your slides into folders, rename, add diagnoses (freetext and structurized), tag and annotate your slides, upload new slides and much more. Page manager: This is the main tool for adding slide pages to your portal. Pages can be added instantly from pre-configured templates, or by following a step-by-step wizard. Once added you can edit every detail of a page, add more cases, diagnoses, questions, slides, slide layers, annotations etc. The Page manager is conveniently divided into tabs, including Preview, Settings, Contents, Cases and Response tabs. Further, in the Page manager you can also organize the folder structure on your portal, move pages from a folder to another, or move whole folders. Exam manager: With this tool you can quickly set up Exams/Tests for students, or QA rounds for clinicians and labs. Answers can be anayzed with online charts and tables, or opened directly from the web portal to Excel with auto-corrected answers. there are several types of questions available (MC or freetext), with optional suggested/correct answering options. For the end users you can choose to turn on instant feedback, a function ideal for self-tests. A moving average chart function is available for numerical inputs. Response and visitor statistics: In these sections you can quickly read and respond to response from end users, and get a picture of what is going on on your portal. Settings: In this section you can configure the looks and functionality of the portal, for example changing banner images, editing main and about page contents, news entries, add and edit featured contents etc. 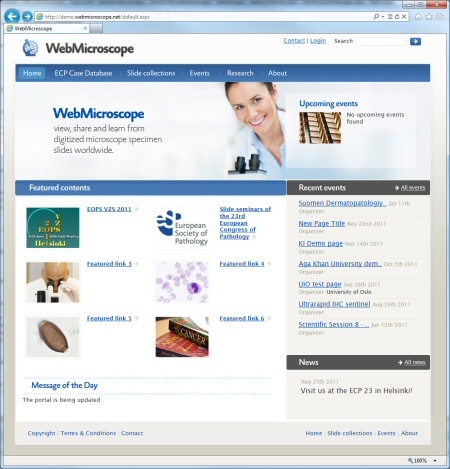 With the WebMicroscope portal software it is easy to set up and manage contents and functions for educational purposes. You can quickly add also extensive series of slides for courses and seminars and attach other material (documents, videos). You can protect your pages by adding access retrictions and passwords, still allowing student to work from home or any location. With the Exam manager you can easily set up and manage Exams and Tests, and review auto-corrected answers and online statistics and charts. An interesting tool integrated into any slide page is Viewpath tracking, i.e. you can have the server "record" how the users have navigated in the slides, which areas have been looked at at certain magnifications and for how long. Self tests Annotations Viewpath tracking. A common application is clinicopathological meetings and case seminars, where cases and slides van be reviewed beforehand. With the WebMicroscope it is also easy to conduct QA rounds. 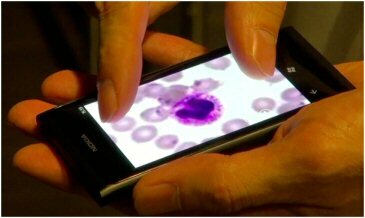 A comprehensive server software module is being developed for developed biobanking purposes. The module is already in beta testing in our own laboratories at the Institute for Molecular Medicine FIMM. Functionality include clinical data management, Tissue Microarray (TMA) management, manual scoring of selected areas/slides and TMAs, extensive Image analysis functions (automatic, assisting) for scorings and texture analysis, clinical reports. 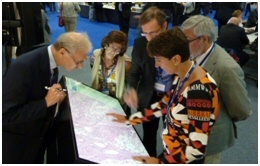 Multitouch microscopy is an entirely new way of performing microscopy: by touching a giant size, minimum 46", table- or even wall-sized screen the user can navigate and zoom within a microscope sample in the same way as in a conventional microscope. Viewers for various mobile devices are under development (iOS, Android, Windows Phone). The WebMicroscope uses single-file images, with extremely efficient wavelet compression, either jpg2000 (.jp2) or Enhanced Compressed Wavelets (.ECW). The wavelet format can reduce the size of the virtual slides radically as compared to the output from slide scanners, and thus save a lot of storage and backup costs. Further, single file images makes management (copying, moving) much faster as compared to multi-file images (for example directories, or tile-based formats). For web browsers there are two viewing options: 1) a cross-platform compatible html-browser with image tiles created by the server in real time, much like Google maps. 2) For Windows based clients there is also a light-weight installable plug-in viewer (with brightness and contrast adjustments), ideal for example for class-rooms. A fast, 64 bit converter is available for converting both common image formats and proprietary scanner output formats. Please contact us for a current listing of supported scanner models.